Preheat oven to 320F (160C). Grease a 30cmx17cm baking pan and line it with parchment paper. Beat egg whites in a bowl until stiff and put aside. Whisk egg yolks, vanilla powder and sugar until creamy. Add melted butter and mix for half a minute. Add the flour and unsweetened cocoa powder. Mix with a spatula until incorporated well. Pour the milk gradually and continue beating. Add in the egg whites, one third at a time and gently mix with a spatula. Pour this liquidy batter into the baking pan and bake for 60 minutes. Let it cool and when it comes to room temperature chill for an hour. 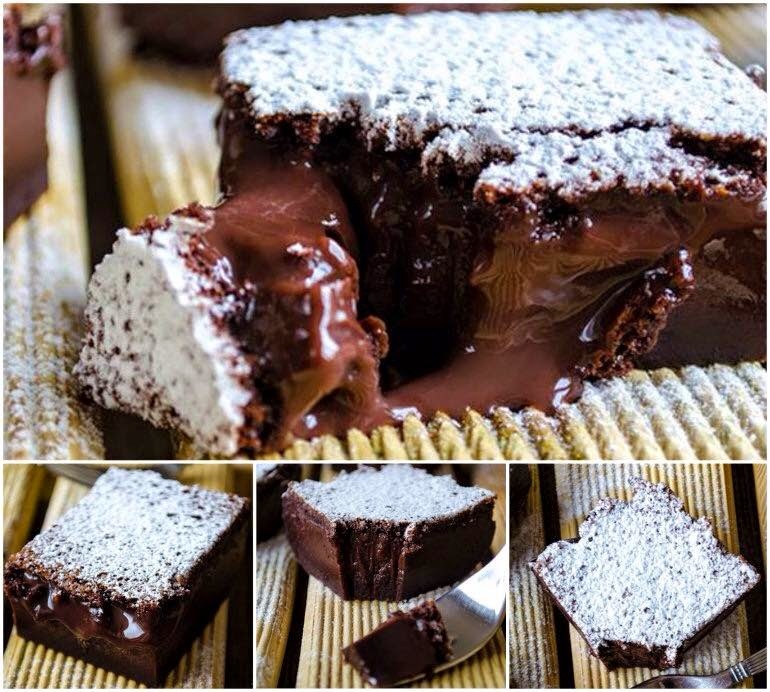 Slice it in the size you like and dust with powdered sugar right before serving. Keep it in refrigerator until you finish it all.